Rachel Johnson is a Market Research Analyst for Jones Lang LaSalle, based in Sydney, Australia. This blog will examine the link between population growth and the supply of supermarket anchored neighbourhood shopping centres. This trend has notable implications for the state of Queensland which over the past 20 years, has had particularly strong population growth (2.1 per cent p.a.) compared with other eastern states (1.2 per cent in NSW and 1.4 per cent in Victoria). The mining boom, increasing domestic and international tourism as well as competitive house prices have driven interstate and overseas migration into the Sunshine State. During the twenty years between 1993 and 2013, Queensland’s population increased by 50.2 per cent compared with 23.7 per cent and 28.9 per cent in NSW and Victoria respectively. In the same period, Queensland’s contribution to the Australian economy increased on a relative basis. The state’s share of gross Australian output increased from 16.0 per cent to 19.4 per cent, while NSW and Victoria’s share decreased. The high rate of population and economic growth resulted in a significant increase in the demand and need for retail property, which resulted in the construction of 572,000 square metres of neighbourhood retail space over the twenty year period. The current per capita provision of neighbourhood retail space in Queensland is 0.26 square metres compared to 0.19 across Australia (based on an analysis of data sourced from PCA-SCD [Property Council of Australia – Shopping Centre Directory] and ABS [Australian Bureau of Statistics]). Over the next decade, Deloitte Access Economics forecasts Queensland’s rate of population growth to remain in line with the historical average of approximately 2.0 per cent p.a., resulting in an increase of over one million people. Based on the current neighbourhood centre floor space per capita provision ratio of 0.26, we would expect South East Queensland neighbourhood stock to increase by 260,000 square metres. In the forward supply pipeline, JLL is currently tracking just 85,000 square metres of neighbourhood shopping centre space in South East Queensland, across all stages of development (proposed, plans submitted or approved and under construction). This reflects a deficit (to our estimate of 260,000 square metres) of 175,000 square metres, equivalent to approximately 30 new neighbourhood centres. The supply forecasts conducted by JLL are limited in that only centres in the planning stage to under construction stage are included. This gives approximately a 1-3 year horizon in the supply forecast as neighbourhood centres can quickly reach practical completion from the site acquisition stage to opening. Supply could be pushed even higher driven by the aggressive competition between the two major supermarket chains (Coles and Woolworths) to expand their network, a trend which has been gathering pace over the past two years. 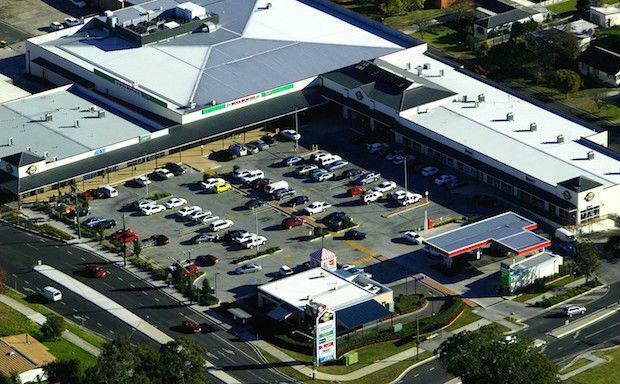 In 2013, 33.6 per cent of total retail completions across Australia were anchored by Coles or Woolworths, considering only neighbourhood centres this figure increases to 92.6 per cent. We therefore expect the need for supermarket anchored centres to remain consistently high over the next decade, and that our monitored supply pipeline will grow as sites are acquired to meet the need of the state’s strong rate of population growth.